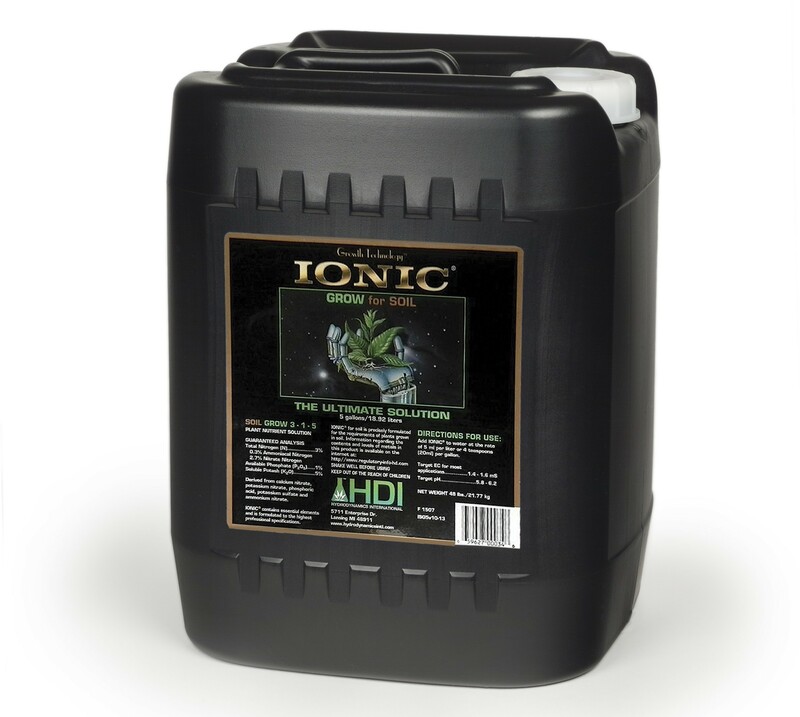 Ionic Grow for Soil is ideal for all container grown plants. Ionic Grow for Soil contains the highest quality minerals and is powerfully enriched with naturally occurring plant acids that increase overall nutrient uptake and enhance growth and yields of virtually every plant. General Use – Shake well before using! 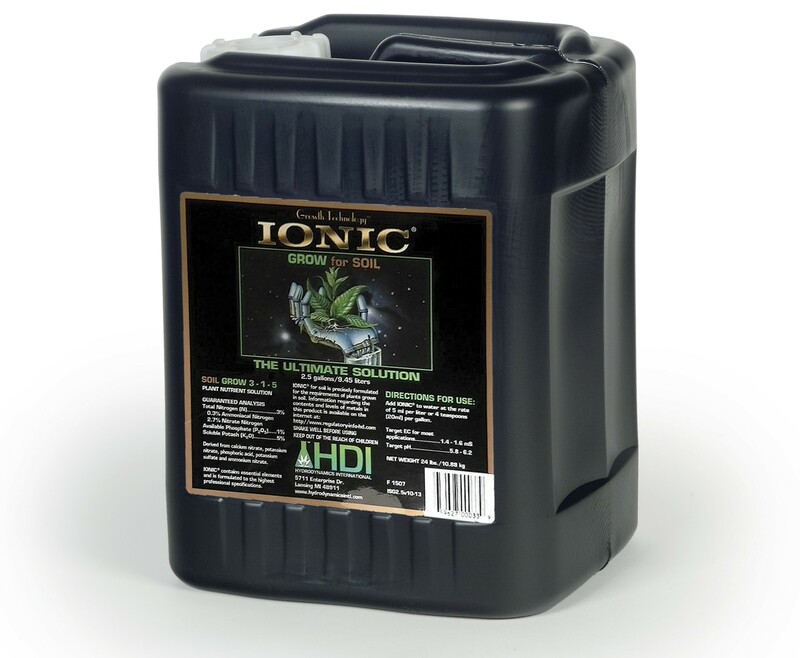 Add Ionic® Grow for Soil to tap water at the rate of 5ml per liter or 4 teaspoons per gallon. One quart dilutes to make 50 gallons of nutrient solution specifically formulated for the vegetative stages of plant growth. 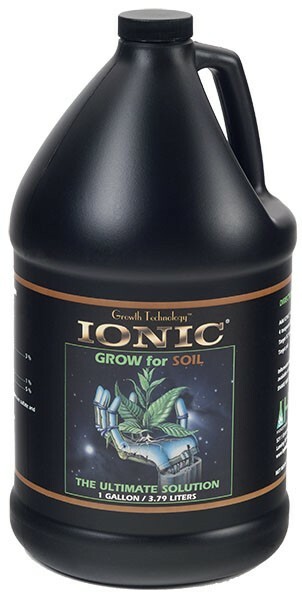 Ionic Grow for Soil is a continuous liquid feed nutrient designed to be used with each irrigation. Use it with Ionic Bloom for Soil for all stages of plant growth.